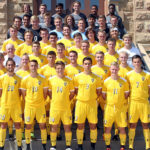 The Gustavus men’s soccer team opens its 2017 campaign this weekend as they head up north to take on the University of Wisconsin-Superior tomorrow and the College of St. Scholastica on Sunday. 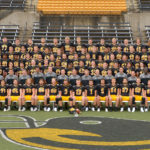 This year's Gustie squad returns a large portion of experience from last season and features a competitive non-conference schedule. The Gustavus volleyball team kicks-off the 2017 season this weekend, traveling to Portland and Newburg, Ore. to take part in the Oregon Trail Classic. The Gustavus football team enters 2017 with revived goals and expectations, opening their season at Hollingsworth Field Saturday afternoon as they host Westminster College at 1 p.m. 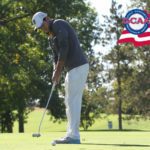 The Gustavus men's golf team received 82 points and are ranked No. 20 in the Golf Coaches Association of America Preseason Division III Bushnell Golfweek Coaches Poll. 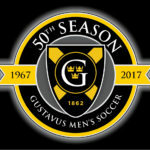 The 2017 Gustavus men's soccer campaign marks a monumental milestone for the program as it celebrates 50 seasons at the College. The 50th season celebration takes place on Saturday, Oct. 14 as the Gusties host MIAC foe Saint John's at 1 p.m. After the match, Head Coach Mike Middleton and the Gusties invite Gustavus men's soccer alumni, family, and friends to celebrate the program's history at the Linneaus Arboretum Interpretive Center, which will include a pot-luck style meal. 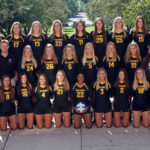 The American Volleyball Coaches Association (AVCA) announced its 2017 Division III Coaches Top 25 Preseason Poll, in which the Gustavus volleyball team is ranked No. 24. The Gustavus football team welcomed more than 160 alumni, family and friends to its 27th annual golf tournament on Friday, Aug. 4 at Shoreland Country Club. The Intercollegiate Tennis Association announced the 2017 All-Academic Teams and Scholar-Athletes last week. In all, 720 teams and 3,908 student-athletes across all five divisions of college tennis were honored. 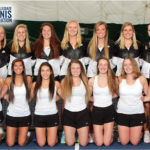 The Gustavus women’s tennis team earned the All-Academic Team award as well as four Gusties earning the Scholar-Athlete award.